The phrase has so much more power than is first anticipated by the two short words. By default, there is nothing prescribed for you but you take things into your own hands. You have the power. And that, alone, is powerful. I hadn't considered how important 'choice' is in learning until I started at my current school. We have a 'Core Offer' which consists of things that we consider to be important elements and strategies to use in each lesson. It is featured in our Teacher Handbook and is something which is referred to in planning and observing lessons. 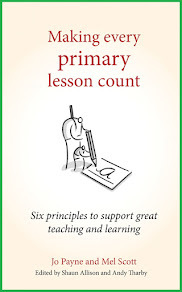 I remember first reading through the Core Offer and recognising many of the elements as things I plan into lessons anyway: learning objectives matching activities, personalised learning and questioning, among others. Every part of the Core Offer was something I did everyday, except for one. "Pupils will have an element of choice within their learning." This really stuck with me and made me rethink a lot of what I do. I have previously mentioned how early in my teaching career I was obsessed with grouping children by ability. Thus I was prescribing what they did and how they did it. Without meaning to, I was putting a glass ceiling on their learning; clearly this was before I'd heard of the idea of a Growth Mindset. I started by including quite trivial choices for children to make so they felt they had some control over their learning: different colours of paper, a variety of context options or different writing implements. Ultimately, these didn't have a great impact in their learning but I saw very quickly an increase in engagement. They were buying into the lesson through a simple decision-making process. This, along with reading about Growth Mindset, led to me completely changing how I managed differentiation, personalisation and challenge in lessons. Rather than providing certain groups with prescribed activities at their level, I started explaining some different options of support to my class for the one activity they were completing and letting them choose if they needed support and how much. Quickly, I realised this worked better if they sat in mixed-ability groups. That way, they could learn from each other, keep their confidence as there's no "top" or "bottom" table and there was an enhanced team-spirit feel in the classroom. With some guidance and conversations, children were choosing appropriate activities and challenging themselves. I had never experienced a class so focused on their learning before and, without any evidence to back this up, I credited the element of choice for their enhanced positive attitudes. It wasn't until the following year that I started to realise the difference choice can make for some children who struggle to behave in school. I was teaching a child who had a tendency to cause problems during lessons. Many teachers use "the choice" when managing behaviour in and out of the classroom. For this child, the choice had always been whether to do the work in the lesson or not. Teachers had previously said, "You can choose to do this work now or choose to do this work during your breaktime with *SLT member*". Early on, I had taken a similar tactic but once the child was settled in my class, I started saying, "You can choose whether you do X, Y or Z" and the expectation was that the work was done in the lesson; the choice was about how the work was completed rather than whether it was completed. This made a real difference and meant that they completed more work in the classroom and there wasn't the need for break time intervention. Since then, I've been experimenting with different ways that children can have an element of choice in their learning. Sometimes, the choice is about presentation format or use of practical resources; other times it is about the subject of a piece of writing or question to research, answer or investigate. Each time, it amazes me how the children engage in their choice and produce some brilliant work, and reminds me how different the lesson would be if I had prescribed these elements. Alison has used a writing project called You Choose which you can read about here. You can read more about challenge is organised in my classroom here. After blogging our move from carousel Guided Reading lessons to whole-class sessions, I get lots of messages asking which texts we use. I compiled a list of over 350 books which teachers around the UK use in their primary classrooms but there are also many free ways of finding texts to help children practise reading skills. Most of these free texts require an internet-enabled device or print out for each pupil or pair. Please be aware of copyright laws and licenses when photocopying these or posting them on a shared server. If it's on a website, you can always provide children with the link rather than printing copies - just remember to check on a school computer to ensure any adverts are appropriate. We have occasionally used lyric videos on YouTube to help with this - most of these have some errors which are interesting to talk about. Again, these can be downloaded and printed out or uploaded to a school server for use on a screen. Many organisations publish free e-books or leaflets which can be downloaded as PDFs or read online. Some examples we have used are George The Sun-Safe Superstar, The Third Shakespeare's Globe and DigiDuck's Big Decision. There are lots of free e-books of varying quality available to read online or download at FreeKidsBooks.org. We have also used Tom Palmer's live Football and Rugby World Cup stories which are set out like serial dramas running parallel to the real-life events and outcomes of the games. Rumour has it he may be doing something similar for the Euro 2016 finals too. You can view and download all of Tom Palmer's free publications here, including some sports-related short stories. Go to the Historic Newspapers website (Education section), choose a pack and email Tom with your request. He will send you the PDF which you can then use for teaching. He can also send you a hard copy if you send him your address. These newspapers can be uploaded to your school's server (we use Google Drive) so the children can access a copy on their device (we use Chromebooks) or you can print copies of the page(s) you want children to look at. Because these are high-quality versions of original prints, everything is authentic, including some brilliant advertisements and interesting unrelated articles which can be used to get children think about persuasive devices, the style of newspaper writing and retrieve information. Remember to check these whole sites over before letting kids loose on them. Beware of updates to the websites which could ruin your lesson - check the links are live and appropriate each year before reusing plans. Sites like NHS Change 4 Life, this BBC Interactive WW1 Trench and BBC Mummy Maker are designed in a really simple, attractive way so they are as useful as a non-fiction book but without the cost or need for storage space. Children also love using these sites and finding extra information hidden among the images. Twinkl do lots of information books, cartoons and stories as a PDF download. First News send their weekly child-friendly newspapers in PDF format along with lots of teacher resources. Fiction Express releases a chapter every Friday at 3pm and readers can vote for what happens next. Texts are written by children's authors and run in line with school terms. Curriculum Visions publish non-fiction print books in class sets but also have all their books and more available in digital format online. If I were to describe 2015 for me, 'odd' would be one word I would consider to sum it up. Both personally and professionally it has been a strange year. Rather than reflect on 15 things and look forward to 16 (as I did in my 13/14 and 14/15 nurture posts), I am simply going to suggest how some 'odd' things from the past year could be smoothed out to be 'even'. After all, my main aim for this blog is for it to be solution driven. So the government abolished levels. It sounded like a brilliant idea. We all knew the flaws with the system and how far from what it was designed for it had become. The powers that be decided to replace it with...well...nothing. Nowadays schools are doing different things. From conversations with colleagues in schools around the country this year, it would appear there is very little cohesion. Even places using the same assessment system are using it in a variety of ways and coming to different judgments. Most schools in our locality are using Target Tracker and deciding to click objectives for each child. This process potentially requires up to 8,000 double-clicks for one year four class. After ending up at the doctor's in the summer, I decided to take some deliberate actions to improve my well-being. This, along with a new cohort, has made a massive difference and the Autumn term was much easier than previous ones. You can read more about what I changed here and I will try to update this at the end of the school year. I will continue to try to put life first so hopefully this coming year will be more normal than the last one. I was reminded recently by a teaching friend of the importance of looking after our health. He explained how he put off a visit to the doctor because he felt his job was more important. His message prompted me to get those little niggles that we often ignore checked out so that we are healthy. After all, our classes need us to be fighting fit so that we can give them the best of our time during the school day. So my aim for this year is to get some things checked out which I have ignored in the past. The aim, when starting up TeachMeet Sussex, was to have an event each term. However, due to this year being so odd, we have only managed to have one event in 2015. 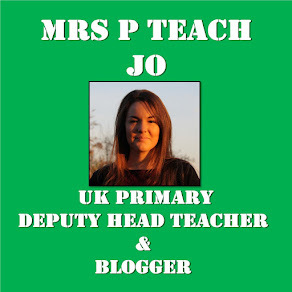 Plans are underway for 2016 already, with the first TeachMeet being on Thursday 25th February in Worthing. There are schools lined up to host in the Summer and Autumn term as well so hopefully this year can bring some continuity for these important and inspiring events.